Lowell Jackson Thomas (April 6, 1892 – August 29, 1981) was an American writer, broadcaster, and traveller best known as the man who made Lawrence of Arabia famous. So varied were Thomas's activities that when it came time for the Library of Congress to catalog his memoirs they were forced to put them in "CT" in their classification - biographies of subjects who don't fit into any other category. Cover of Thomas' 1976 autobiography, Good Evening Everybody. He was born in Woodington, Ohio, in Darke County, the son of Harry and Harriet (Wagner) Thomas. His father was a doctor and his mother a school teacher. In 1900, the family moved to the mining town of Victor, Colorado. There he worked as a gold miner, a cook, and a reporter on the newspaper. In 1911, he graduated from Valparaiso University with bachelor's degrees in education and science. The next year he received both a B.A. and an M.A. from the University of Denver and began work for the Chicago Journal, writing for it until 1914. While in Chicago, he was a professor at the Chicago-Kent College of Law, teaching oratory. He then went to New Jersey, where he studied for a master's at Princeton University (he received the degree in 1916) and again taught oratory at the university. He and a cameraman, Harry Chase, first went to the Western Front, but the trenches had little to inspire the American public. They then went to Italy, where he heard of General Allenby's campaign against the Ottoman Empire in Palestine. With the permission of the British Foreign Office, as an accredited war-correspondent, Thomas met T. E. Lawrence, a captain in the British Army in Jerusalem. Lawrence was spending £200,000 a month encouraging the inhabitants of Palestine to revolt against the Turks. Thomas and Chase spent several weeks with Lawrence in the desert, though Lawrence said "several days." Thomas shot dramatic footage of Lawrence and, after the war, toured the world, narrating his film, With Allenby in Palestine and Lawrence in Arabia, making Lawrence—and himself—household names. The performances were highly dramatic. At the opening of Thomas's six-month London run, there were incense braziers, exotically dressed women danced before images of the Pyramids, and the band of the Welsh Guards played to provide the accompaniment. Lawrence saw the show several times, and though he later claimed to dislike it, it generated valuable publicity for his own book. However, to strengthen the emphasis on Lawrence in the show, Thomas needed more photographs of him than Chase had taken in 1918. Lawrence therefore agreed to a series of posed portraits in Arab dress in London, though he claimed to be shy of publicity. Thomas later said of Lawrence, "He had a genius for backing into the limelight." Thomas and Lawrence's initially friendly relations grew colder as Thomas's show grew in popularity, with Thomas ignoring several personal requests from Lawrence to stop the show. The shows gave Lawrence a degree of publicity that he had never previously experienced. Newspapers became keen to print his attacks on Government policy, and politicians began to pay attention to his views. At the end of 1920, he was invited to join the British Colonial Office, under Winston Churchill, as an adviser on Arab affairs. However, Lawrence said that he never forgave Thomas for exploiting his image, and called him a "vulgar man." For his part, Thomas genuinely admired Lawrence and defended him against attacks on his reputation, even after Lawrence's death. About four million people saw the show around the world, and it made Thomas $1.5 million. Thomas would also later write a book, With Lawrence in Arabia (1924), about his time in the desert and Lawrence's exploits during the war. It would be the first of fifty-six volumes. During the 1920s, he was a magazine editor. In 1930, he became a broadcaster with the CBS radio network. After two years, he switched to the NBC radio network but returned to CBS in 1947. He hosted the first-ever television-news broadcast in 1930 and the first regularly scheduled news broadcast on television in 1940. But television news was a short-lived venture for him, and he favored radio. Indeed, it was over radio that he presented and commented upon the news for four decades until his retirement in 1976, the longest radio career of anyone. "No other journalist or world figure, with the possible exception of Winston Churchill, has remained in the public spotlight for so long," wrote Norman R. Bowen in Lowell Thomas: The Stranger Everyone Knows (1968). His signature sign-on was "Good evening, everybody" and his sign-off "So long, until tomorrow," phrases he would use in titling his two volumes of memoirs. Thomas never lost his fascination with the movies. He narrated Twentieth Century Fox's Movietone newsreels until 1952. That year he went into business with Mike Todd and Louis B. Mayer to exploit Cinerama, a movie format that used three projectors and an enormous curved screen. Because of both the cost and technical issues in synchronizing the projectors, Cinerama never caught on, but a quarter-century later, Thomas was still raving about it in his memoirs and wondering why someone wasn't trying to revive it. 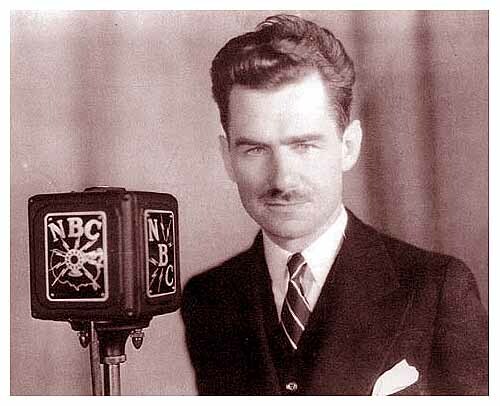 Thomas is also known for his television series of the 1950s entitled High Adventure and television's Lowell Thomas Remembers in the 1970s. Thomas's most amusing on-air gaffé occurred during one of his daily CBS news broadcasts in the early 1960s. He was reading a story "cold" which had the phrase "She suffered a fatal heart attack" in it. The line came out of Thomas's mouth as "She suffered a fatal fart attack". Realizing instantly what he had said, he collapsed into gales of roaring laughter, which continued into - and beyond - his announcers chuckling sign-off for the day. He was a successful businessman, helping to found Capital Cities Communications, which in 1986 took over the American Broadcasting Company, and developed the Quaker Hill community in Dutchess County, New York, near Pawling, where Thomas resided when not on the road. Among his neighbors there was Thomas E. Dewey, one of a huge circle of friends that included everyone from the Dalai Lama to Franklin D. Roosevelt. In 1976, President Gerald Ford awarded Thomas the Presidential Medal of Freedom. He has two stars on the Hollywood Walk of Fame and was inducted into the Radio Hall of Fame in 1989. Thomas was fictionalized in David Lean's film Lawrence of Arabia as American journalist Jackson Bentley, played by Arthur Kennedy (who was some twenty-five years older than Thomas was at the time). When he heard this film was being produced, Thomas offered to give producer Sam Spiegel a large amount of documentation about Lawrence to use for the film, but was rejected. Thomas enjoyed the film but was critical of its historical inaccuracies. He was also fictionalized in two Warner Brothers cartoons, She Was an Acrobat's Daughter (as Dole Promise) and The Film Fan (as Cold Promise). Both Dole Promise and Cold Promise were billed as newsreel "prevaricators." In the unofficial sequel to Lawrence, A Dangerous Man: Lawrence After Arabia (1990), he was more accurately portrayed by actor Adam Henderson, who gave a recreated version of Thomas's slide lectures on Lawrence. His wife of 58 years, Fran Ryan, who often travelled with him, died in February 1975. He was married a second time in 1977 to Marianna Munn. True to form, he embarked with her on a 50,000-mile honeymoon trip that took him to many of his favourite old destinations. Thomas died at his home at Pawling at the age of eighty-nine and was buried in Christ Church Cemetery. His son, Lowell Thomas, Jr., was a film and television producer who collaborated with his father on several projects before becoming a State Senator, and later the Lieutenant Governor of Alaska, in the 1970s. Today, Lowell Thomas Jr. remains an active bush pilot and environmental activist in Alaska. Lowell Thomas has the communications building at Marist College (in Poughkeepsie New York) named in his honor. ^ "Thomas, Lowell (Jackson)." Encyclopædia Britannica. Encyclopædia Britannica 2007 Deluxe Edition. Chicago: Encyclopædia Britannica, 2006.